Homeless Class Action Moves Toward Trial!! City’s Motions Denied. U.S. District Court of Colorado issued its ruling this morning with regard to Denver Homeless Class Action litigation that has sought to end the mass civil rights violations of the dispossessed in Denver. 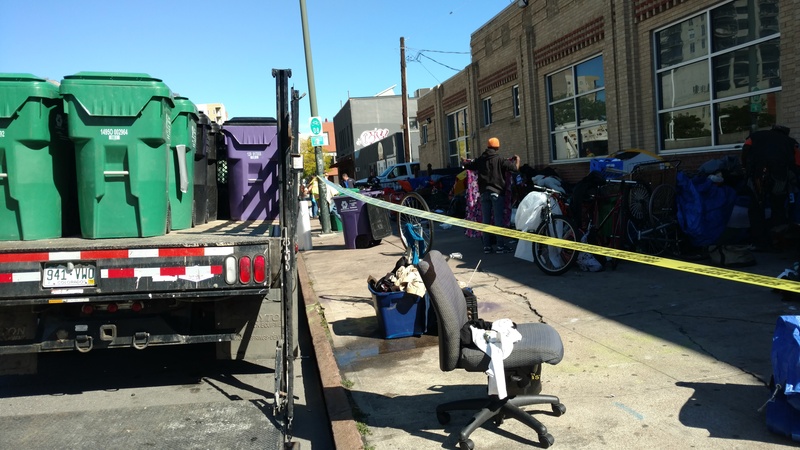 Denver filed two motions: 1)a motion to strike much of the evidence submitted by homeless persons; 2)A Motion for Summary Judgment to dismiss the case. Both motions were, in the main, denied by the Court so that the class action is now going to trial. ← Right to Survive Initiative Filled in Denver Day After State Right to Rest Hearing!! !